We live in a community with an immense potential to understand the truth further than what knowledge can offer. It is simply finding the holistic link between our intellectual and physical being, a deeper and compassionate understanding of who we truly are. Being aware of this wisdom can make this world a better place, as we are all responsible and interdependent on each other, this is the point where our thinking in unison should shift from ‘doing’ into ‘being’. But can one implement this into real life? 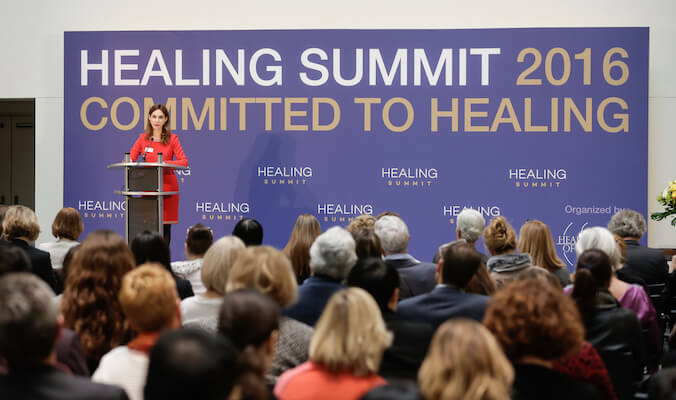 At the HEALING SUMMIT, a two-day conference held in Berlin each year, personal development experts, a selection of business speakers and influential founders help to realize this objective. It is a valuable opportunity to explore and ask deep-rooted questions, to discuss and debate as you listen to one another’s positive observations. The title says it all: BUILDING A GLOBAL HEALING COMMUNITY. Accomplished and visionary speakers from all over the world gather at the SUMMIT encouraging a force of good, taken from their personal lives and transcending the energies into the professional world. Investing in serving society will advance us into a soulful economy. The HEALING SUMMIT, a movement of compassion and knowledge, acknowledges that at the core of our being we want goodness. The SUMMIT enables us to look into the future and see a world that promotes a holistic lifestyle. 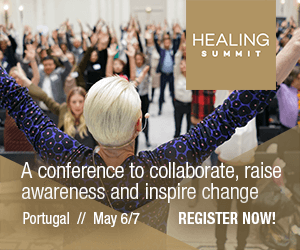 Register for the HEALING SUMMIT 2017, organized by Healing Hotels of the World.